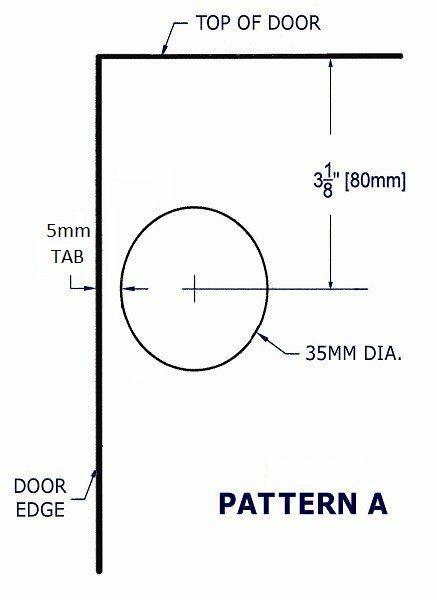 Our standard drilling patterns with and without dowel holes. We also offer custom drill patterns. 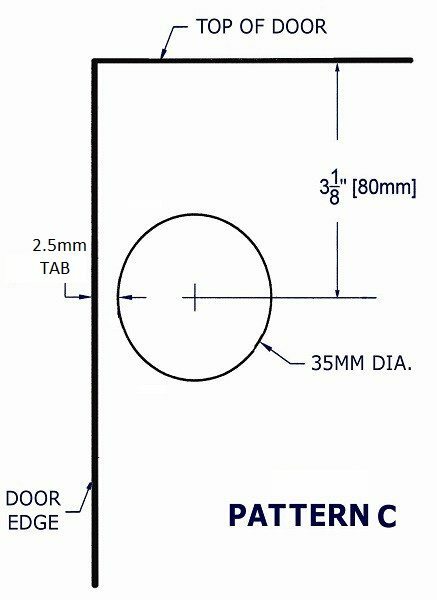 From end of door to center of cup hole: 3.125â³/80mm. 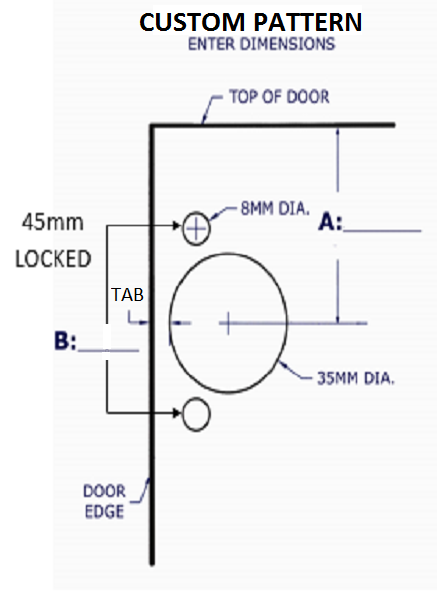 Doors over 40â³/1016mm in length to be drilled for 3 hinges. 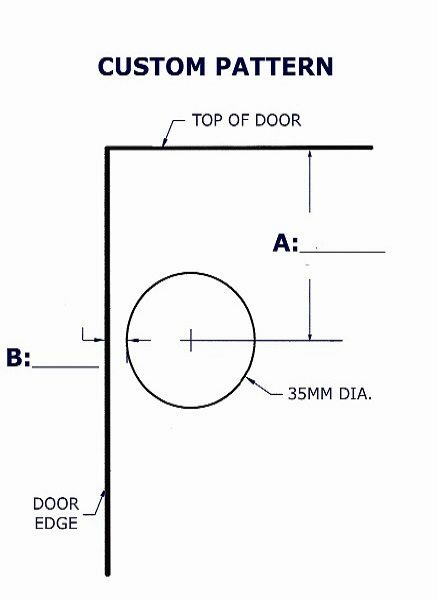 Customer MUST specify Left or Right hand for Arched style doors. Both of our stock Compact hinges are set up for 1/2â³ overlay and can be used on both Face Frame and Frameless style cabinets. 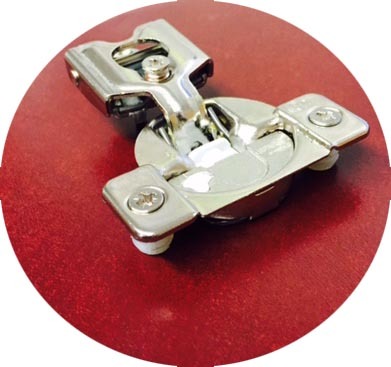 Other hinge overlay & applications are available by special order and quoted at time of order. 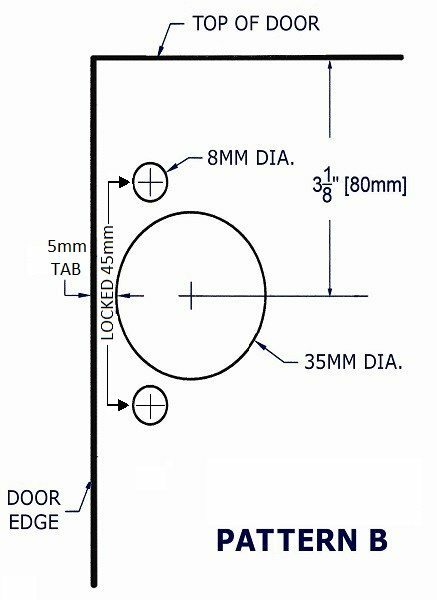 AWD can drill your doors per your specific hinge location on door. 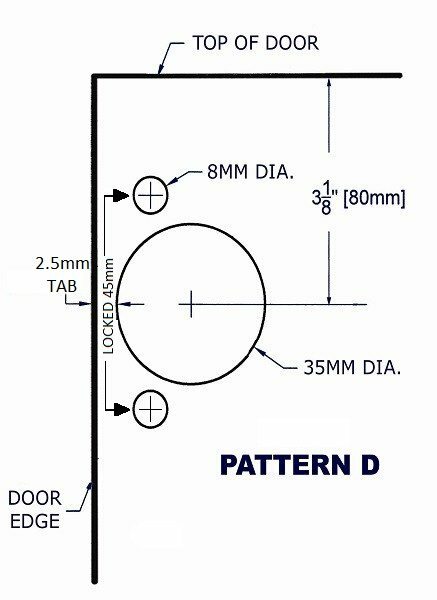 Make a copy of the custom drill pattern for your hinge type, and enter the dimensions needed and submit drawing with your door order. Salice Soft close hinges are available by special order. 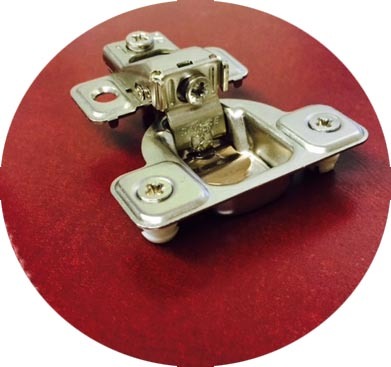 Other hinge overlay & applications are available by special order and quoted at time of order.